32X Spider-Man: Web of Fire in 07:10.07 by mmbossman. 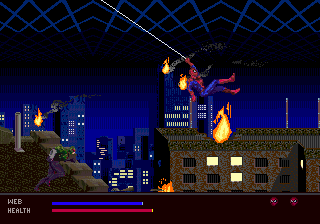 Spider-man: Web of Fire is one of the last 32x games ever released. It follows our friendly neighbourhood Spider-Man's battle with the evil forces of Neo-Nazi organization H.Y.D.R.A.